The silver price has fallen so far this year, but what are the best silver stocks on the TSX? We’ve got the answers here. The silver price took some tumbles during the first quarter of the year, and while it managed to hit a high of US$16.04 per ounce on January 30, it was down 2 percent overall in Q1. Despite those struggles, some silver companies still managed to make progress and expand the resource potential of their assets. Now that Q1 has come to a close, the Investing News Network (INN) has rounded up the best silver stocks on the TSX that have seen the biggest share price gains year-to-date. The list below was generated on April 4, 2019, using TradingView, and all companies listed had market caps above C$50 million at that time. MAG Silver is focused on becoming a top-tier primary silver mining company by exploring and advancing high grade, district scale, silver dominant projects in the Americas. The miner’s main asset is the Juanicipio property in Mexico. Juanicipio is currently being developed in a joint venture partnership with Fresnillo (LSE:FRES). At the beginning of March, MAG reported the discovery of the northeast oriented Venadas vein at the Juanicipio asset. It is the first ever mineralized vein in the Fresnillo district oriented at a high angle. On Monday (April 1), the company released its 2018 annual report, noting that it had working capital of US$129,316, including cash and cash equivalents of US$130,180. Great Panther is a precious metals producer and exploration company with two primary silver mines within Mexico’s historically prolific mining districts: the Guanajuato mine complex and the Topia mine. The Guanajuato Mining District has produced over 1 billion ounces of silver in roughly 400 years. At the beginning of March, the miner completed the acquisition of Beadell Resources, including the producing Tucano mine in Brazil. Additionally, on February 28, the company released its 2018 financial results. While revenue was down from C$63.7 million in 2017 to C$59.4 million last year, Great Panther made several mining and exploration decisions to ensure a successful 2019. Wheaton Precious Metals is one of the largest precious metals streaming companies in the world. The company currently has streaming agreements for 19 operating mines and nine development stage projects. Its profile is driven by silver streams on Glencore’s (LSE:GLEN) Antamina mine and Goldcorp’s (TSX:G,NYSE:GG) Peñasquito mine, as well as a gold stream on Vale’s (NYSE:VALE) Salobo mine. On February 21, the miner announced that it had exceeded its production guidance for 2018, producing 24,474 ounces of silver instead of the 22,500 ounces it had originally forecast. Wheaton also surpassed its production guidance for both gold and palladium. Click here to watch INN’s interview with Wheaton President and CEO Randy Smallwood at this year’s Prospectors & Developers Association of Canada convention. Silvercorp is China’s premier silver producer, with annual production of 6 million ounces of silver in the 2018 fiscal year. The company focuses on the acquisition of underdeveloped projects with resource potential and the ability to grow organically. 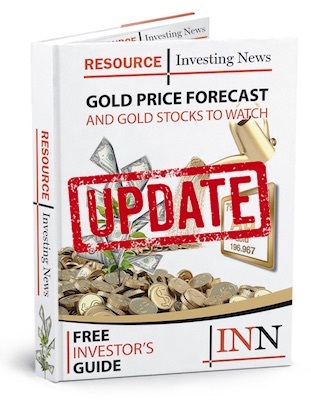 In mid-February, the miner released its Q3 fiscal year 2019 highlights, noting that it sold approximately 1.7 million ounces of silver, 1,100 ounces of gold and 17.8 million pounds of lead, up 13 percent, 57 percent and 13 percent, respectively, year-on-year. Silvercorp also finished the quarter with silver-lead concentrate inventories of 4,211 tonnes, up 13 percent compared to September 30, 2018. On February 20, the miner announced a share repurchase program to acquire up to 8,484,682 common shares, representing approximately 5 percent of the 169,693,640 common shares issued and outstanding as of February 5, 2019. Silvercorp took this action as it believes that market conditions have resulted in its shares being undervalued relative to the immediate and long-term value of its portfolio. Maya Gold & Silver’s main goal is to generate growth and revenue through acquisition and exploration programs, with a specific focus on precious metals assets in Morocco. While Maya has multiple projects in Morocco, including its Boumadine mine, Amizmiz property and Azegour mine, the company’s flagship project is its Zgounder silver mine. At the beginning of January, the company announced that it had begun commercial production at the Zgrounder mine. During a 28 day period, a total of 4,622 tonnes of low grade ore with an average silver grade of 157 grams per tonne was processed. In late February, the company provided an update on production at Zgrounder, stating that the mill had processed 14,579 tonnes at an average grade of 213.6 grams per tonne silver and had produced 936 tonnes of concentrate. Overall, the flotation process reached 85.9 percent effectiveness. Securities Disclosure: I, Nicole Rashotte, currently hold no direct investment interest in any company mentioned in this article. Editorial Disclosure: Great Panther Mining is a client of the Investing News Network. This article is not paid-for content. You might want to check out Jaxon minerals , JAX , on the Canadian venture exchange . It’s a junior with very hi grade veins . Grassroots opportunity .